I grew up in the 80s, so friendship bracelets were always layered up my wrists by the dozens, usually made at sleepovers while we gossiped about boys. While I’m happy to let a my formerly 80’s essentials go (I’m looking at you, Aqua Net), this is one tradition I’m excited to pass on to my kids. Only now friendship bracelets have a really intriguing high-tech twist, thanks to i-loom. This toy lets you build your bracelet designs with a companion app, and then gives you the step-by-step instructions to make it. Ihave to admit, there’s part of me that’s geeky excited about this. I never learned more than one or two patterns as a kid (and those, by reading a book), so the ability to design your own bracelet with this tutorial looks really fun. 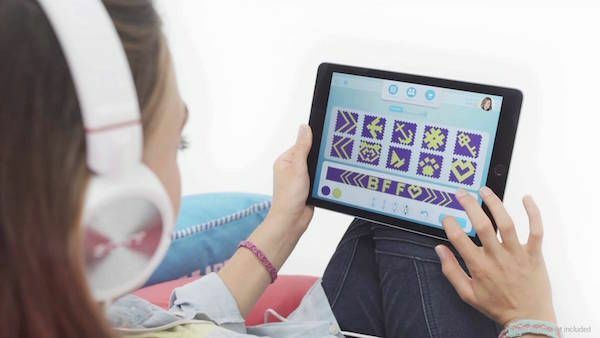 With the free i-loom app for iOS (does not come with free iPad, sorry), scroll through their designs, then drag and drop pattern blocks to create your own bracelet. The tutorial will teach you the basic knots and techniques you’ll need to know to make it — and you can thankfully pause as you go when you get to those those tricky parts. You can save as many as 40 of your original creations in the app, so you can make your favorites over and over again for your friends. And in case you’re worried about tech taking over everything that is good and crafty; to be clear, you are still definitely making the bracelets yourself. 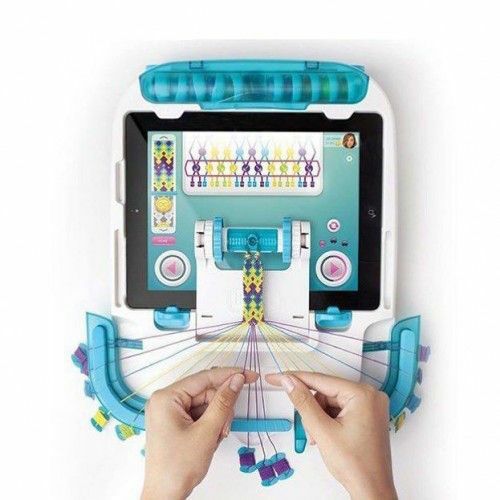 It’s more like high-tech loom/pattern book/bracelet-making coach that makes the whole thing a little more modern, even if the results are the same handmade bracelets we’ve loved for decades. Know that some of the pattern designs are in-app purchases, which isn’t my favorite, but then again, it is a free app. Maybe add an iTunes gift card in your kids’ stockings, and let them add designs until the card runs out. And big tip: the loom itself is completely optional. You can still use the app while holding the knotted end of the bracelet between your knees like we did when we were kids. So in that way, it’s like almost nothing has changed at all. 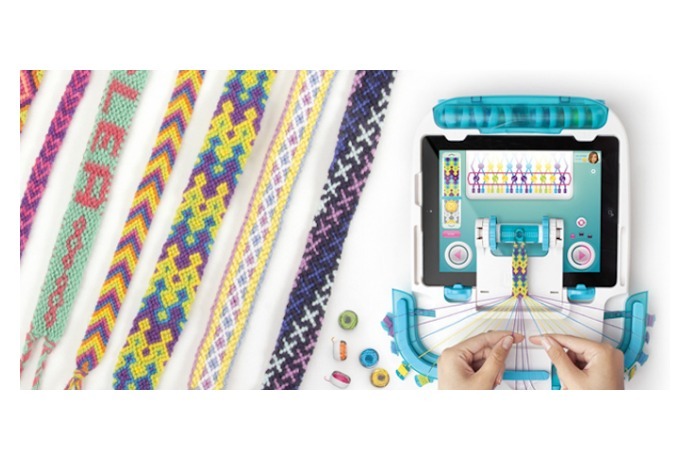 You can find the the i-loom friendship bracelet maker starter pack at local toy stores or at our affiliate Amazon. Be sure to stock up on extra embroidery floss spools too. Our guess is that they’ll be using these up fast. Thank you for such a great article! We are blushing 🙂 In regards of the in-app purchase, you can buy the i-patterns with loomies (our very own currency!!!). And you earn loomies every time you make a bracelet (around 100-120 loomies per bracelet). The iTunes card idea is perfect, though. Please, let us know if you have any comments or impressions about i-loom. Have fun!